NORTH WHITEHALL TOWNSHIP, Pa -- Visitors to a Pennsylvania zoo and its beer festival took refuge in buildings after a bobcat escaped from its enclosure. Shiska, an 18-year-old female bobcat at the Lehigh Valley Zoo, escaped Saturday through a hole it made between a fence and a tree. Zoo President and CEO Melissa Borland tells WFMZ-TV that the bobcat got 25 to 50 feet from its enclosure before being captured by handlers about an hour later. No injuries were reported. It happened during the zoo's Cat Country 96 Brew at the Zoo Country Beer Festival. Borland says about 2,000 people were at the zoo when the bobcat escaped. 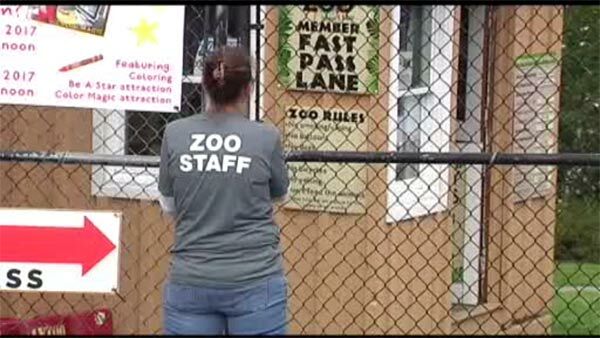 She says zoo employees could see the animal the entire time. Zoo patrons, who'd been escorted into buildings, were evacuated when officials decided it was safe.